The SAP showcase “open integrated factory” at the Hannover Messe will feature cab’s laser marking system THS+ Basic. In regards to the trade show‘s Digital Factory in hall 7 at the SAP booth C04 key rings with an integrated smart chip and individually designed top shells are prepared right before the eyes of the visitors. On view from April 25 to 29, 2016. What makes this showcase special is that all processes are connected in a decentralized way – from customer order to quality control, from assembly line to the management level. In this way, a batch size 1 can be orchestrated in top speed and produced highly efficient. All processes are represented in a dashboard and errors are reported in real-time. This showcase is a co-innovation of SAP with cab and further partners. 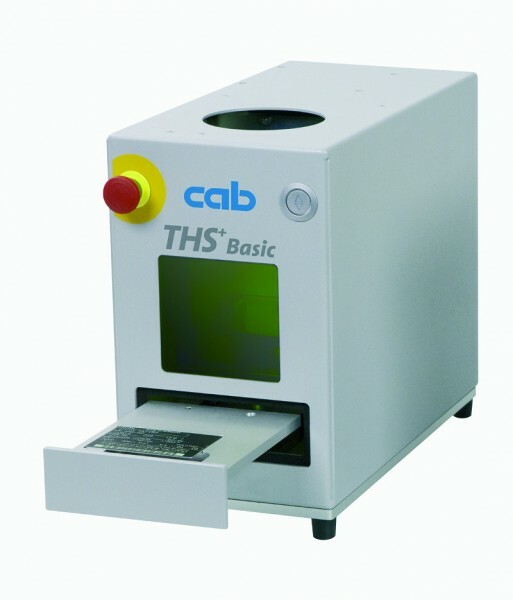 The laser marking system THS+ Basic is based on cab’s Ytterbium fiber laser FL+. Components to be marked are individually inserted into a jig, fed after start, marked and then automatically rejected. cab FL+ marking lasers are supplied with program and data interfaces enabling Industry 4.0. A remote API interface allows for generating objects, its parameter setting, management and processing of associated layouts and variable contents externally from a PC or via PLC. Especially for integration in complex manufacturing processes. The marking software cabLase offers program modules for the integration of cab laser marking systems into MES and ERP platforms. As a member in SAP’s Printer Vendor Program cab has access to implement marking applications e.g. to the SAP data stream. For more information, please visit https://www.cab.de.